Dairy Queen Summer of Miracles – Dairy Queen Corp. It was a summer of MIRACLES – thanks to Dairy Queen. “Today we are celebrating a very significant and special donation,” said Roger Brewin, Dairy Queen Vice President of Operations. “It’s made in partnership with vendors, Dairy Queen International and of course, our Mid-Michigan franchisees.” Following a silent auction at the Dairy Queen Expo, franchisees Steve and Sherron Hughes chose Hurley Children’s Hospital to receive a $138,449 gift. 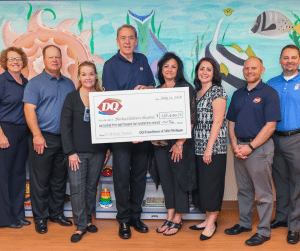 An incredibly generous gift from Dairy Queen that will change children’s lives. An amazing donation has provided a Vecta. 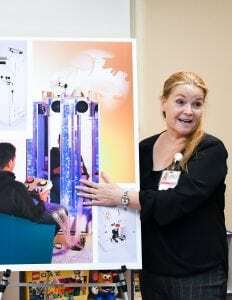 Young patients on the autism spectrum can control the mobile unit in their own rooms, using lights, sounds, smells and feelings to calm themselves for procedures. For a child of certain special needs, they’re hearing 100 voices instead of one. This machine has all of the senses they could possibly need to calm themselves down and it’s all controlled by them. Hurley Foundation President Mike Burnett would like to thank Dairy Queen for its outstanding citizenship and particularly what it’s done for the kids who have come through our doors. Children are thanking Dairy Queen too. Miracle joined mid-Michigan families for their favorite day of the year – Dairy Queen Miracle Treat Day. She’s called Miracle for a reason. She weighed just 14 ounces at birth. Today, Miracle is healthy and happy. Dairy Queen became a national sponsor of Childlren’s Miracle Network Hospitals 34 years ago. 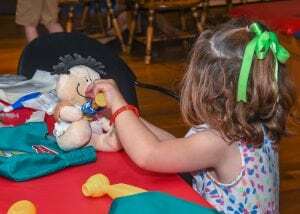 In just the past three years, its CMN fundraisers have raised more than 30-thousand dollars for Hurley Children’s Hospital. 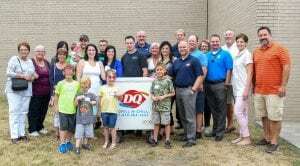 This summer, Dairy Queen expanded its generosity, becoming the title sponsor of the Dairy Queen Miracle Picnic. 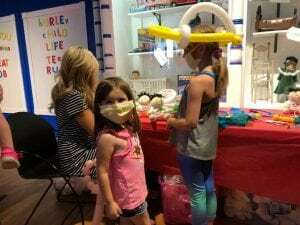 Kids got their faces painted, blew bubbles, got tattoos and checked out medical play dolls. 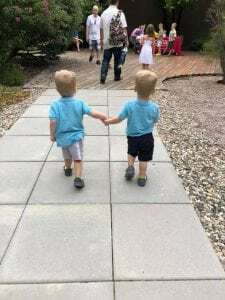 The Zmiejko twins spent 39 days in the neonatal intensive care unit. They can enjoy the picnic now! “I’ll tell you personally, having an opportunity to go into the neonatal unit that’s where it gets real quickly. These are small precious humans trying to stay healthy and alive. For me that was probably the most profound moment for me, pretty special,” said Roger Brewin. By supporting our Child Life services, Dairy Queen is helping families get through treatment. 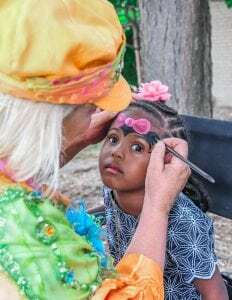 Our patients will now get coloring books and crayons, have DVDs in their rooms to stop boredom and as we saw first hand at the Dairy Queen Miracle Picnic, they’ll be able to use dolls to become familiar with procedures, easing their fears. 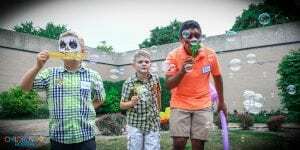 We’ve grown up with Dairy Queen – and are so thankful Mid-Michigan franchisees – are continuing a tradition of making children happy. Thank-you Dairy Queen for helping us make MIRACLES – TOGETHER. 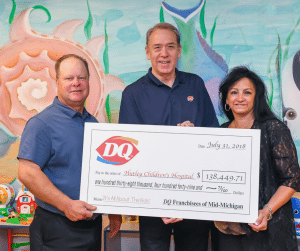 Previous post: Westbrook, Maine Dairy Queen Makes Record-Breaking Donation to BBCH! Next post: Miracles on Minnesota Ave!